At Kip McGrath Moorooka, our passionate teachers provide professional tuition in English and Maths to primary and secondary students. We know that success in learning helps to boost a child’s self-esteem and encourages a positive attitude towards learning. It is our goal that every student feels that success. To do this, we provide positive experiences for students and their families by developing strong relationships, providing individual programs, and motivating students to build their confidence. 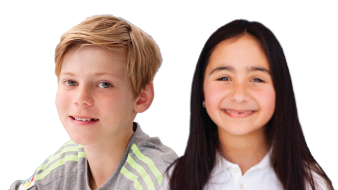 At Kip McGrath Moorooka, each student has a custom learning program specifically designed to suit their needs. Each 80-minute session includes one-on-one attention with a teacher, and a combination of written and computer-based activities. Small group sessions allow for independence but also close individual attention. By using our proven methods and techniques, our qualified teachers will help your child to close the gaps in their learning, catch up, and keep up, with confidence.